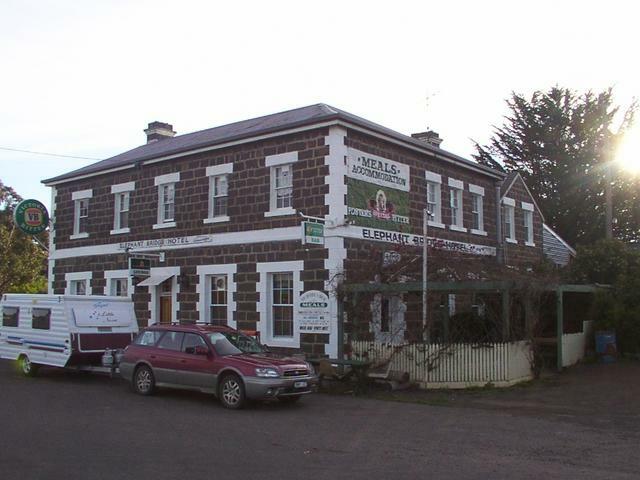 Pub Trails through Victoria have been divided into geographical regions oriented mainly around key entry/exit routes through Victoria. But it is the areas that lay to each side of these main routes that you should be interested in exploring. 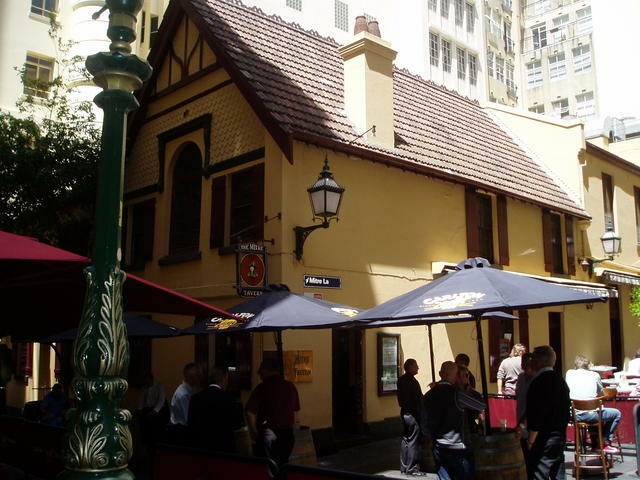 The oldest building in the city of Melbourne, is also The Mitre Tavern Pub ! Melbourne - City Pub Trail), is positioned right in the centre of the state. The key highways: Hume (M31 down from the North East), Princes (M1/A1 East to West), Calder (A79 North West), and Western (M8/A8 West) all terminate there. Centre of Melbourne at Swanston and Flinders St corner. 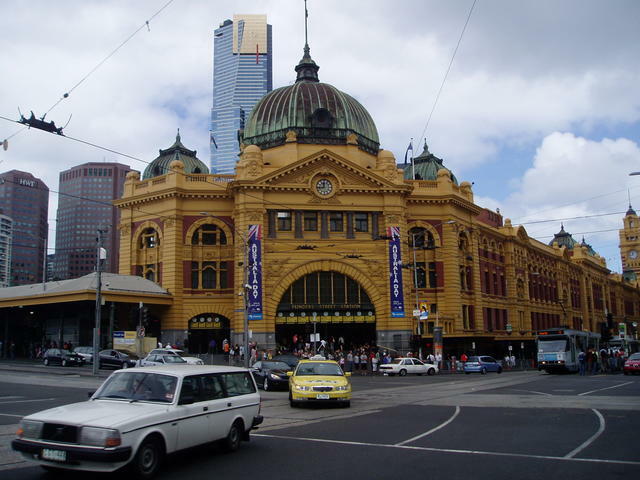 The Flinders Street railway Station. Our approach has been to explore pub trail itineraries that deviate from those major roads, providing the traveller with the opportunity to visit some historical, scenic as well as interesting towns that are the home to some really great Aussie Pubs. We've identified a couple of key towns that link up a number of our Pub Trails in a way that will make your road travelling a pleasure, and avoid you having to travel into the busy centre of Melbourne, which we suggest you consider separately, rather than centrally. 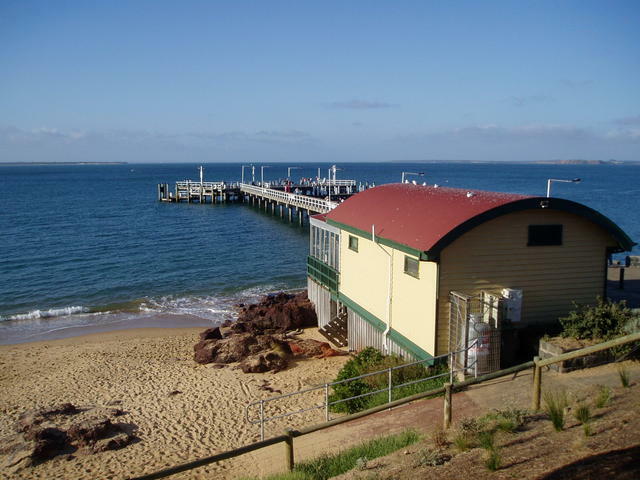 The pier at Cowes, on Phillip Island. 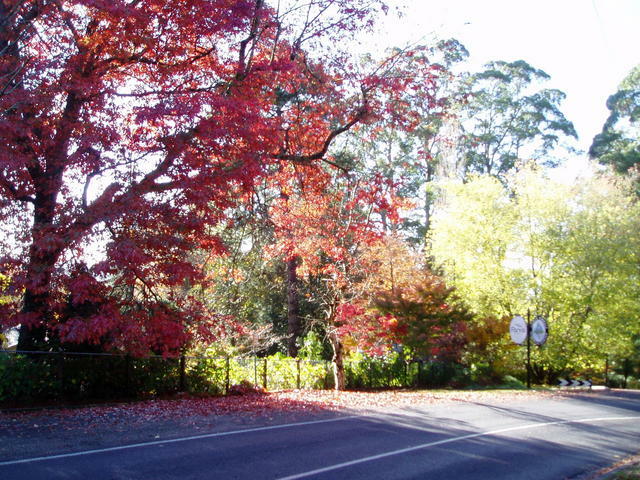 Autumn in the beautiful Mount Dandenong Ranges 35kms East of Melbourne. The Eastern Region is very much split by the tail end of the Great Dividing (Mountain) Range with the High Country being the focal point. The Hume Highway (M31)coming down from the Murray where it crosses the NSW border at Albury/Wodonga provides the northern approach to Melbourne, with the High Country laying to its South East. Skirting the southern side of the mountain range towards Melbourne, the Prince's Highway cuts in from the NSW border closer to the coast at Genoa (in from Eden on the NSW side). We outline a number of great deviations coming in along Prince's Hwy from NSW in East Gippsland (covering Genoa to Bairnsdale), Central Gippsland (covering Sale through Traralgon to Yarragon, with Walhalla trail to its north, Wilson's Promontory to its far south), and South Gippsland (from Warragul into the suburban town of Berwick) with the Coal Country (around Korrumburra and Wonthaggi) and the popular Phillip Island area to its south. As you start to reach the outer Eastern surburban town of Berwick we suggest cutting across north from Berwick to Lilydale using our Silvan Dam trail to reach Lilydale, also on the eastern suburban fringe of Melbourne. This is a good central point for exploring a number of Pub Trails as one, two or three day visits of the surrounding areas: Mt Slide, The Spur, The Dandenongs and Warburton. So take note on the map, of the key pivot towns: Bairnsdale, Traralgon, Berwick, and Lilydale. 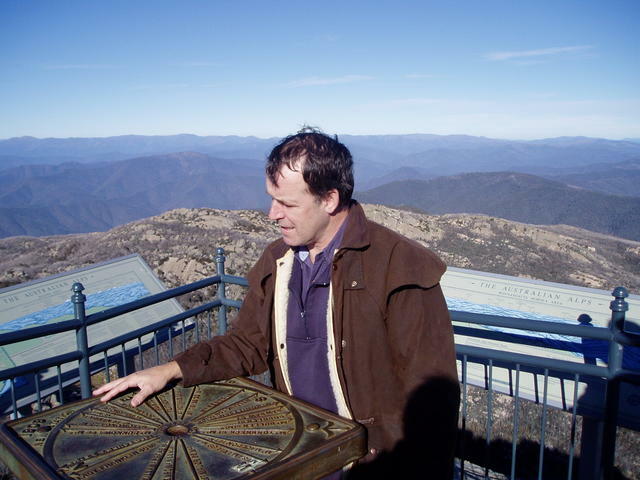 The Horn, at the end of Mount Buffalo. "There's got to be a pub somewhere near here...."
reached by travelling south from Traralgon. Over Dinner Plain, Hotham Heights down through Harrietville to Bright, and ultimately back onto the Hume Hwy. Now that is one great High Country adventure, and you'd certainly be enjoying an ale when you reach your destination! The most southern point of this area is the Prom! There are a couple of ways to enjoy getting to this area, perhaps out of Melbourne from Berwick via the suggested South Gippsland Pub trail, and then sneaking east along the coast. Or, if you are coming in from the eastern end (say from NSW), then consider dropping south from Traralgon after enjoying the areas outlined in the Central Gippsland Pub Trail. But make Port Albert part of the trip! The Prom is a great area for camping, and relaxing after some of the long walks available in this National Park. 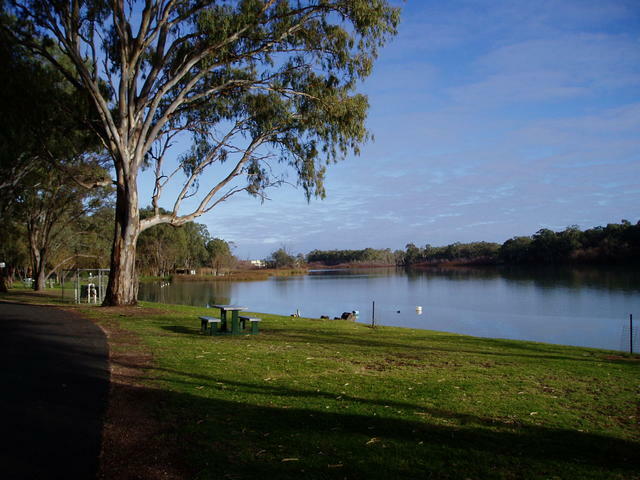 The Calder Highway (A79), one of the three main highways leading west out of Melbourne, takes you to Mildura which is positioned in the far North East corner of the state on the Murray River. 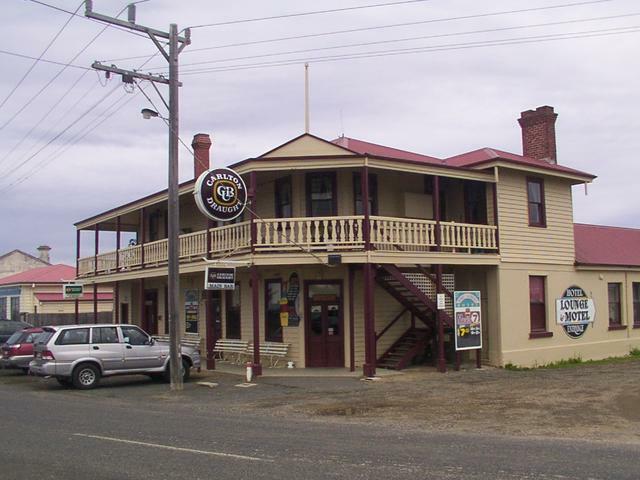 Elephant Bridge Hotel in Darlington, on the Hamilton Highway (B140). Built in 1842. The Western region is flat, with the exception of The Grampians (Hall's Gap). 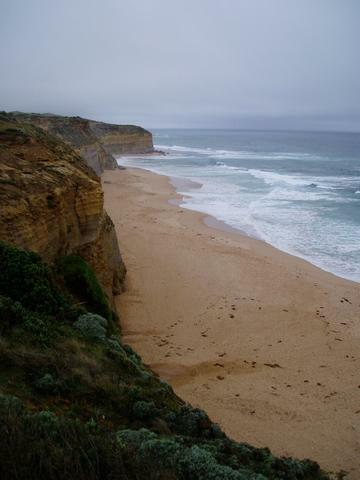 The coastal road exit, is the infamous Great Ocean Road aka "GOR" (B100), reached by firstly taking the Prince's Highway (M1/A1) to Geelong(Victoria's second largest city) and then heading for the coast for the majority of the trip towards the South Australian Border via Warrnambool. The Prince's Highway itself traverses westerly, more inland, meeting back up at Warrnambool to carry thru on to Mount Gambier, just over the South Australia Border. 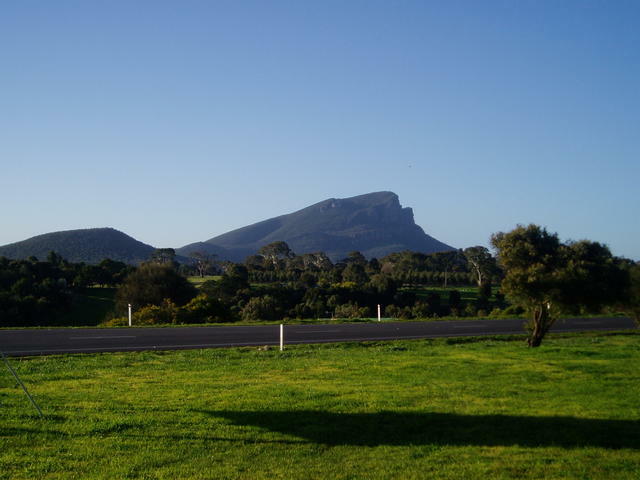 View of Mt Abrupt (southen end of the Grampians mountain range), from the Glenelg Hwy at Dunkeld, between Ballarat and Hamilton. So much for the major highway geography lesson...... The real interesting trails are in between. Progress has introduced major highways that enable you to reach distant destinations in shorter times. But for those who want to enjoy some scenery along the way, the trick is to break such journeys down into a series of criss-cross or alternative Pub Trails. 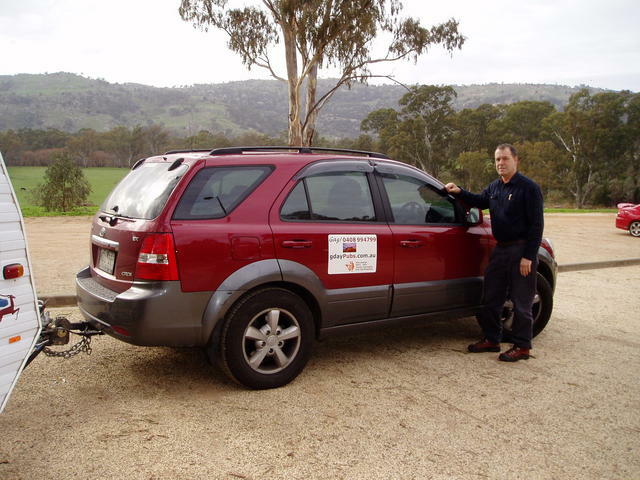 When travelling to South Australia via an inland route, we recommend you look at the West Wimmera Secrets trail. This covers Glenelg Highway (B160) that provides a quiet and picturesque journey from Ballaarat via Hamilton and Edenhope (Wimmera Hwy C240), over the border to Narracoorte up through the Coonawarra (Riddoch Hwy A66) to Keith. Only 60kms further by road, and you have it all to yourself, as well as another fine wine district! 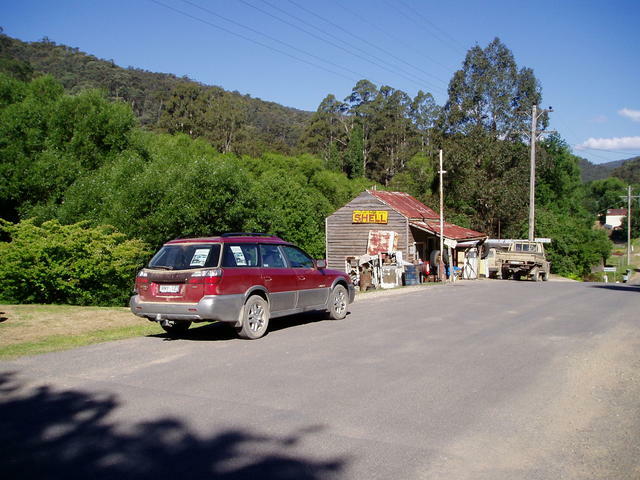 Travel the interesting countryside at Woods Point between Warburton or Marysville, up thru to Jamieson and Mansfield. And for those travelling around the coast from NSW, for example. The old Prince's Highway provides some great opportunities to split off at say, Warragul and head up through to Noojee, across to Yarra Junction and aproach Melbourne from the picturesque Yarra Valley, at say Lilydale (see the Warburton Trail). From that point we have a number of trails that let you explore the areas that pivot out from Lilydale into the nearby countryside, without imposing the hectic traffic of suburban Melbourne. Gdaypubs.com.au webpage. But we did want to give some exposure to the different styles of Pubs we have in the Suburbs, so we've divided them up depending on the reader's interests. For those who want to really lash out and treat themselves to some high class dining and accomodation, we have the Melbourne 5-star trail. On the other hand, if you really enjoy sampling some new, different specialist beers, we have a sample of pubs that have their own microbrewery beers to enjoy in our Pub Brews Trail. For those seeking entertainment by local singers, groups, bands and comedians, we've identified a sample of pubs that have regular gigs: refer to: Melbourne Gigs. And of course there are some infamous suburban pubs that you hear about, and curiosity will get the better of you, and you just want to go and visit some Melbourne Suburban Icons. And for something totally different, we look into a little of the history of Melbourne and discover there is in fact a major black hole. No we're not talking about a pub with no beer, possibly worse: we're talking about a whole district with no PUBS! We call it the Event Horizon Trail. We hope our Pub Trails enable you to have a really pleasant visit to Victoria, by all means exploring some of our Pub history along the way, but also enjoying our great scenery and hospitality!